SUPER CUTE: Show off your fun side everyday with a unique variety of fashion crew socks. Bold colors and comfy material will make you smile and add a little personality to your wardrobe. Escape from the everyday socks with a fresh variety of crew socks. Choose a new color to spice up your outfit and add a pop of style. 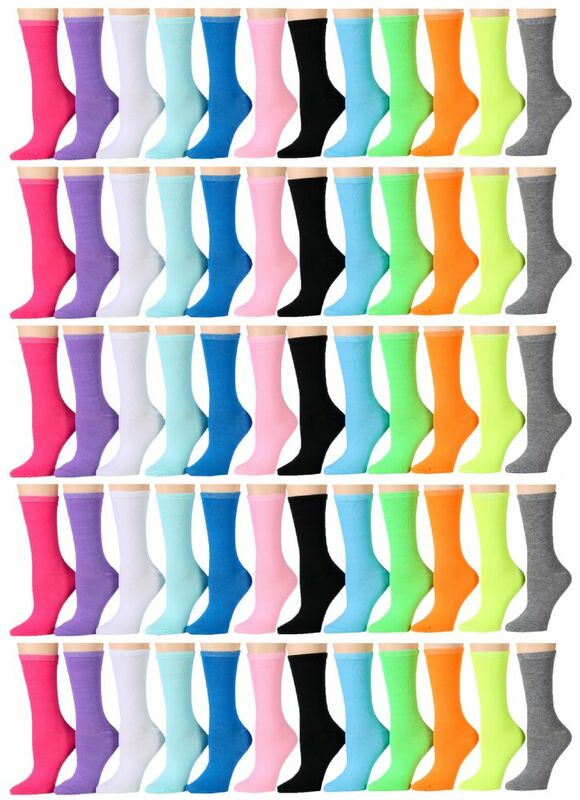 GREAT QUALITY & VALUE: Get high quality and low prices when you buy a value pack of women's fun crew socks. Get fresh fashion without breaking the bank with cute and colorful novelty socks. Stand out and get noticed this season with a cute outfit paired with flattering crew socks and booties. SPORTS & FITNESS: Match up your favorite gym outfit with a variety of crew socks,looks so stylish with shorts or leggings. Decorate your legs in fun colors while keeping your feet dry and cool. Try wearing an all black outfit with a bright colored sock that animates your entire look. TRENDS FOR ALL: Not everyone is brave enough to follow fashion trends. Socks are a great way to get up to date with fashion without going overboard. You can wear a simple black mini dress paired with a bold crew sock for a low key style upgrade.